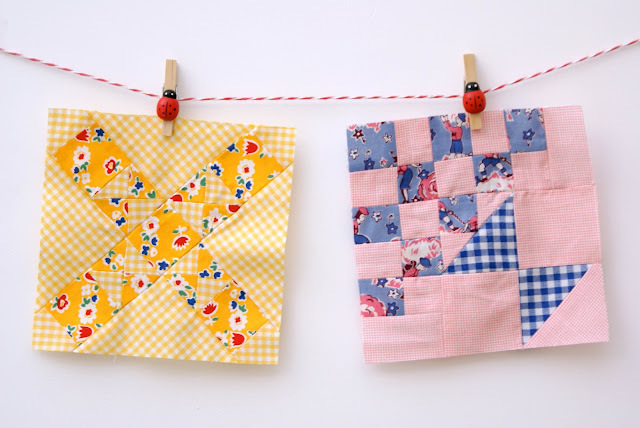 MessyJesse - a quilt blog by Jessie Fincham: Love Patchwork Feature! Hi! I have some fun news to share with you all today :) but first I wanted to share my latest farmers wife quilt blocks. I've been slacking with these the last few weeks, so it's time I caught up! The left one is #17 Cats & Mice which I love, yellow always makes such a bold statement and always makes things look so happy and cheery! and the right one is #89 Steps to the Alter. I think I had a bit of a checkered theme going on when making these! and in other news ... 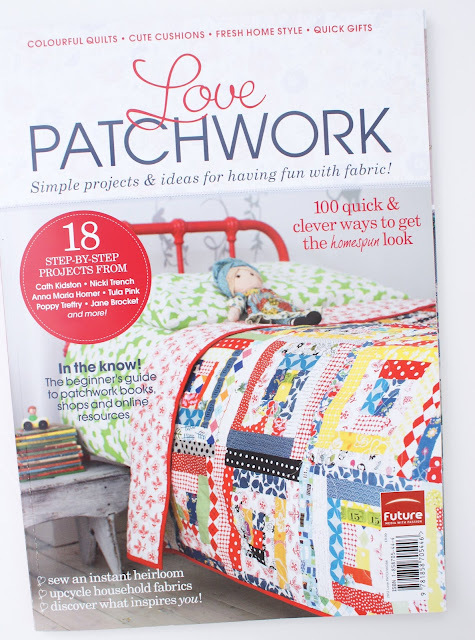 I have been featured in a UK based bookzine called Love Patchwork. 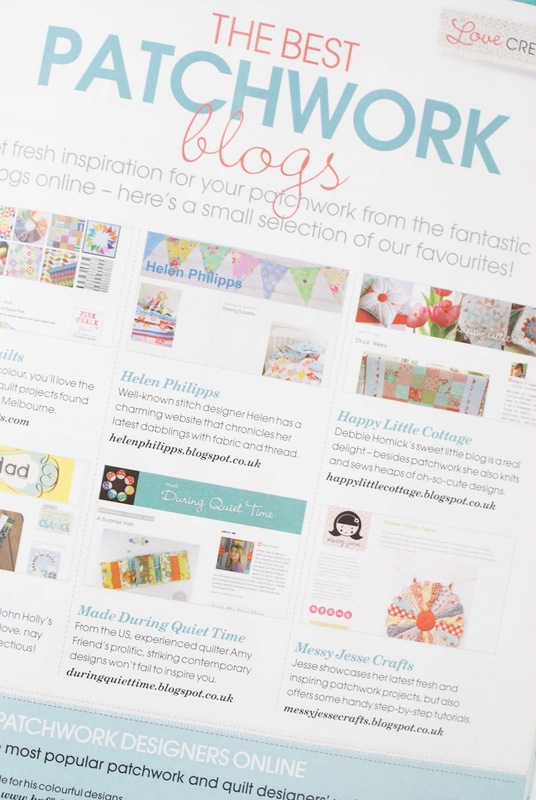 Little ol' me was mentioned in the best patchwork blogs section along with some other amazing bloggers; such as Rita from Red Pepper Quilts, sweet Debbie from Happy little cottage, and the talented Helen Phillips. Thank you to the editors for featuring me! and welcome new followers who have found me through the book. The yellow block is lovely! 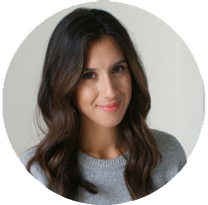 Your blog is such a delight!! Now many others will be able to enjoy it. Congratulations! Well deserved recognition. And the new blocks look great too. Woo hoo! I hope I can get my hands on that! Congratulations on being featured and well deserved to if I may so say! Love your FW blocks. The yellow and gingham general seems so appropriate for the farming theme, must be yellow reminds me of corn or something! Must look out for that mag too, I've not seen if before. Wishing you a happy new week. Hey thanks for the mention, very kind. Congratulations on the feature in the mag. I'll have to get myself a copy. :) I love my tea towel quilt so much. It was a labour of love to make, with a lot of help from my expert mum. Good luck with your work! Hey that's amazing!! You must be over the moon? I know I would be. Think I'll have to get that book, I saw it advertised in Mollie Makes magazine recently. Love your Farmers wife blocks! I've just bought a jelly roll Samplerquilt book, can't wait to get started!! Thanks for the lovely comment by the way. Lovely blocks, the yellow one is full of shine.